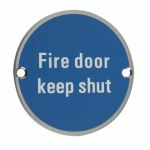 A great quality satin stainless steel 'Fire Door Keep Shut' sign. It is drilled and countersunk with fixing screws. 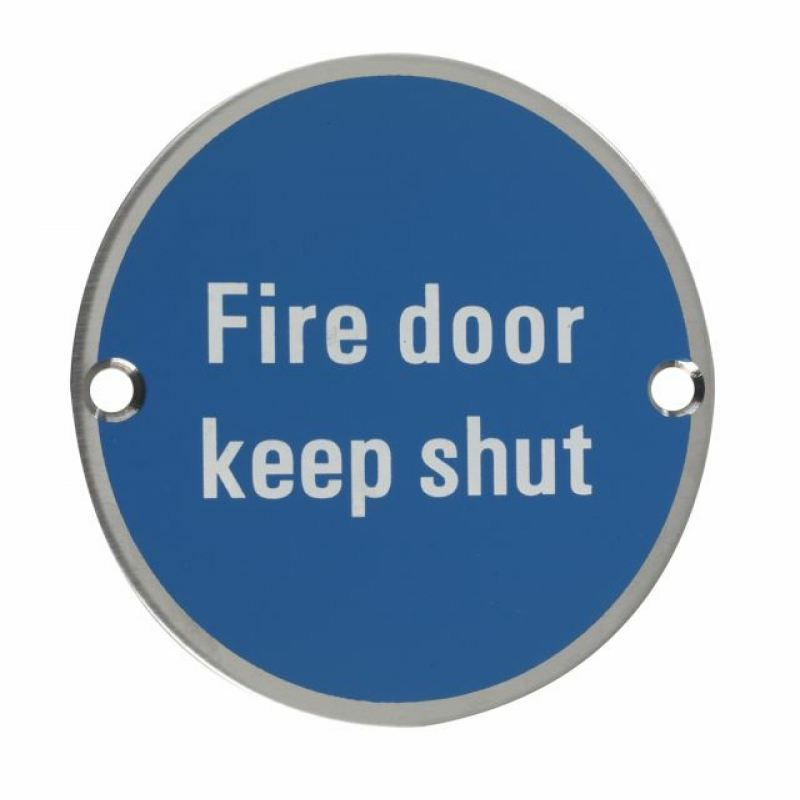 Displaying fire signage around your commercial building is essential for fire emergencies. If your "Fire Door Keep Shut" signage has been applied on a fire door, it is strong enough to sustain hot temperatures especially fire compared to plastic signage placed on fire doors too. Fitted the bill - much more reasonable than other suppliers.